This post is for Norm’s Thursday Doors, November 29, 2018. 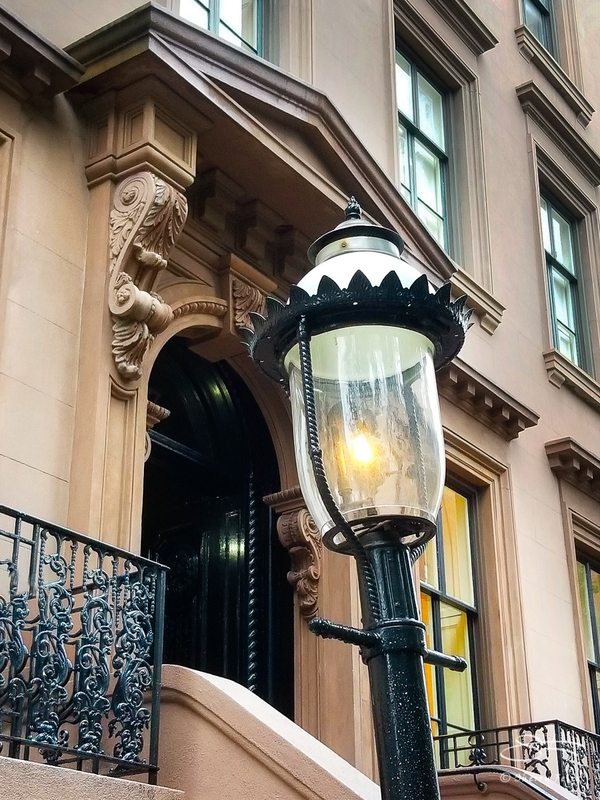 A lovely local gallery on Fifth Avenue just above Washington Square Park is the Salmagundi Club which was founded in 1871. 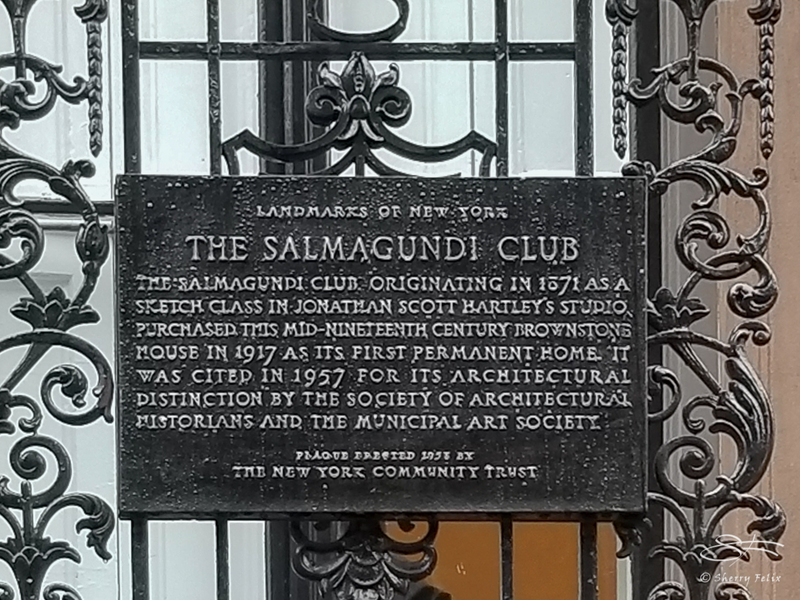 About the Salmagundi Club on Wikipedia. A few doors south at 43 Fifth Avenue is this door. There a few gas lights too. Reminded me of London in the 50s when a lamplighter used come light the lamp outside my window every night.